The In-mould labels are inextricably entwined with the packaging. Those labels are used for food packaging as well as for packaging for cosmetics, chemistry, the automotive industry and DIY stores. In-mold labelling (IML) is a very efficient procedure for the labelling of plastic containers. The labelling process takes place at the same time as the manufacture of the container. No carrier materials and no adhesives are needed. The label is firmly attached to the material and along with this forms a smooth, borderless surface. IML labels are used for food packaging (dairy products, ice cream, salads, etc.) 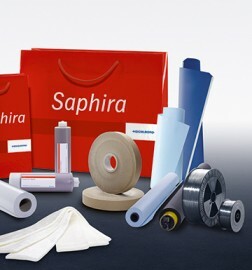 as well as for packaging for cosmetics, chemistry, the automotive industry and DIY stores. This market sector currently has a share of about 2 percent1 of the complete global volume of label printing. However, with a 5.6 percent2 average market growth by 2020, it has interesting potential. In addition to the Speedmaster XL 106, the machines in the Speedmaster CX 102 und XL 75 series are also very well suited for the print production of in-mold labels. Printing takes place either with conventional inks and coatings, in a pure UV operation, or UV combined with conventional procedures. 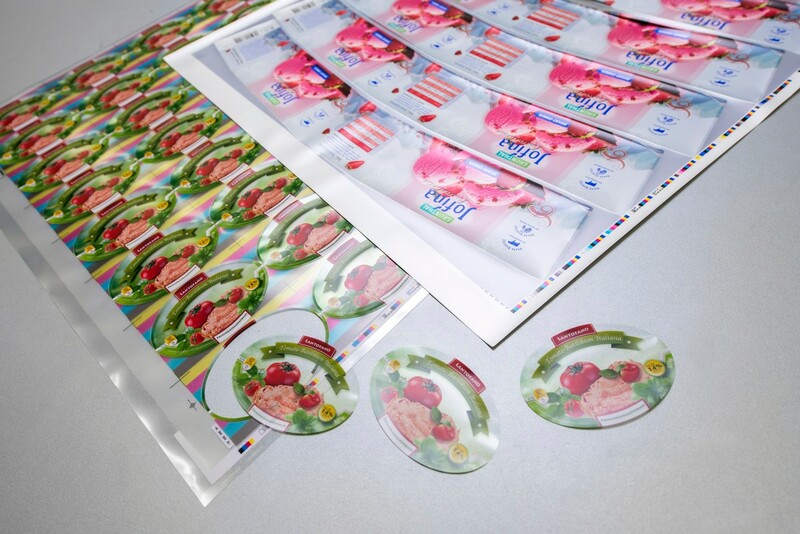 Meanwhile, double-sided printed in-mold labels are also being manufactured, on which promotion campaigns or consumer protection information can be displayed on the reverse side. With the Speedmaster XL 106-D Heidelberg offers a rotary die-cutting machine, which increases throughput by up to 200 % in comparison with flat-bed die-cutting machines, thereby offering immense commercial advantages.